 Contact Us at Camelot at Townelake Today! Our professional and friendly management staff is available to provide you with anything you need! Here at Camelot at Townelake, our goal is to provide and maintain the very finest apartment community in Sayreville, and we're looking forward to meeting you! Contact our staff today for more information or to schedule a personal tour of our grounds. We're available to answer your questions and facilitate your move into one of our beautiful new, modern apartment homes.